This Friday Feb. 1st is Imbolc or Imbolg, also called Brigid’s Day, the Celtic holiday marking the beginning of spring held on February 1-2, or about halfway between the winter solstice and the spring equinox. Imbolc is mentioned in some of the earliest Irish literature and there is evidence it has been an important date since ancient times. It was originally a pagan festival associated with the goddess Brigid (goddess of fertility) and that it was Christianized as a festival of Saint Brigid, who is thought to be a Christianization of the goddess. Irish Central has an article on Imbolc traditions and customs which also describes St. Brigid as a very busy patron saint of over 20 types of persons including babies, children from broken homes, various trades and classifications. In Ireland, Brigid’s crosses (pictured above) were made at Imbolc. A Brigid’s cross usually consists of rushes woven into a square or equilateral cross, although three-armed crosses have also been recorded. 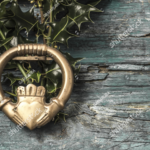 They were often hung over doors, windows and stables to welcome Brigid and protect the buildings from fire and lightning. The crosses were generally left there until the next Imbolc. Here is a YouTube Video that shows you how to make one. Friday (Feb. 1.) is also the “early bird” reservation deadline for adults tickets for the Sons & Daughters of Erin St. Patrick’s Day Dinner & Show. You will save $5 on your dinner reservations if you purchase them before that date. 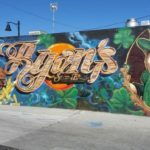 UNR Economics Professor Elliott Parker will give a presentation on Brexit Tuesday at our February General Meeting at Ryan’s Saloon, 924 Wells Ave. One of the focuses of his presentation, will be the impact of Brexit on Ireland. He has published almost 80 newspaper columns on economics, including one on how Ireland’s recession compared to Nevada’s. He recently wrote a textbook, The Comparative Economics of Global Growth and Inequality. In addition to three dozen refereed academic research papers, he has published almost 80 newspaper columns on economics, including one on how Ireland’s recession compared to Nevada’s. In the Summer of 2012, he taught a course for UNR at Trinity College in Dublin, and loved his time there. He had the chance to visit Belfast as well, a city from which his ancestor John Parker sailed out in 1770 to emigrate to South Carolina. One of our business items at our Feb. 5 General Meeting will be for our members to approve our organization’s bylaws changes. The SADOE Board recently approved this bylaws draft at its meeting on Sunday. We have also created a synopsis of those changes with explanations. If you have any comments, suggestions or questions, please e-mail sadoenorthnv@gmail.com. If you cannot make the meeting, you may vote via a proxy document which we will make available to you upon request. Please call 775-378-0931. This weekend begins the Six Nations Championship (Guinness Six Nations), an annual international rugby union competition between the teams of England, France, Ireland, Italy, Scotland and Wales. The current champions are Ireland, having won the 2018 tournament. Ireland is tied at 124 with Scotland and Wales in winning the most matches. The IRFU plays home matches in the Aviva Stadium (also known as Lansdowne Road) located in Dublin with a capacity for 51,700. All of the matches will be aired locally on tape delay on NBC Sports Network (DirecTV Channel 220. Charter Spectrum Channel 31). Note: Oski’s Pub & Grill in Sparks will air the matches during their normal business hours. While Americans have been experiencing a government shutdown for the past month, the devolved government in Northern Ireland has not existed since January 2017. Many of decisions are being made by the British government, which is inching Northern Ireland back towards “Direct Rule,” which means governance is by them as apposed to local rule. The Independent has a story that explains the impasse between Northern Ireland’s two majority parties, the nationalist Sinn Féin and Democratic Unionist Party, who haven’t been able to come to an agreement over language, cultural and social issues. What also complicates matters, is the act that the DUP is propping up British Prime Minster Teresa May’s Tory Government, which Sinn Féin and others consider to make things less impartial. The Irish border backstop is an insurance policy in the withdrawal deal designed to avoid a hard border with Ireland after Brexit, which some in May’sTory Party despise as it stands now because the UK could theoretically be tied to a customs union with the European Union long after the transitional period ends in 2020. Although EU officials responded before the final vote was taken that the current deal (rejected overwhelmingly two weeks ago) would not be renegotiated, May will attempt to renegotiate the deal citing the amended plan showed a majority, which include her fellow Tories and all of the Democratic Unionist Party MPs from Northern Ireland, could support. She will return to the House in February where MPs will again hold a Brexit vote. The amended plan that passed followed debate on other proposed amendments that either delayed the UK leaving before March 29 or rejected a no-deal Brexit, which many fear would be chaotic. Irish Republic Taoiseach (Prime Minister) Leo Varadkar told the Irish parliament yesterday that their nation would go from running a budget surplus to a deficit if there was a no-deal Brexit. He also echoed the EU’s opposition to renegotiating the Irish Border Backstop. 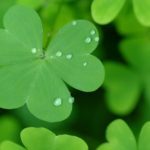 Irish Person of the Year & Board Nominations this February! Candy Factory Tour at Kimmie Candy Co.